A net, chest waders and a lightweight, waterproof wading jacket. Wading techniques, river craft and basic entomology. Fancy a day’s fly-fishing on the River Wye or Usk? Working in conjunction with the Wye and Usk Foundation, I’m able to provide a guiding service on some of the most productive stretches on these world famous rivers. The Usk, being one of the best freestone trout rivers in the country is renowned for it’s wild brown trout – fish over 18″ are common and many grow over 3lb. 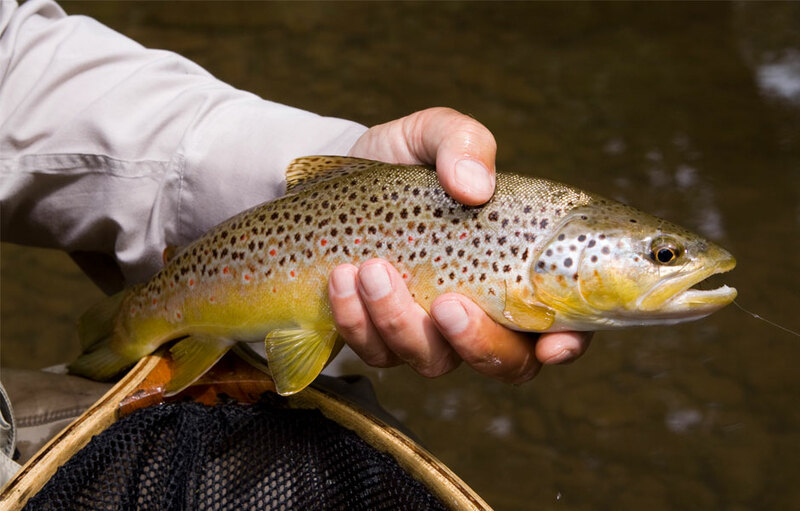 Fishing is best during the early part of the season (April to June) when anglers experience excellent dry fly and spider fishing, taking advantage of the large dark olive, march brown and grannom sedge hatches. 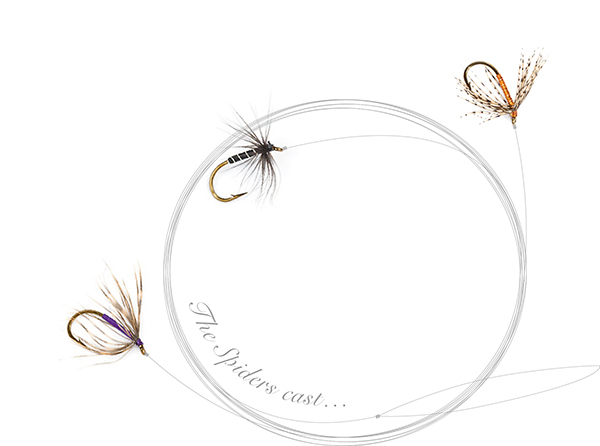 As summer progresses, early morning and evening become more productive, as the sedge hatches provide exciting fishing opportunities late into the evening. Come September, the day time fishing improves again before the first signs of Autumn bring the season to a close. The Wye also offers some wonderful trout fishing, with the upper beats (upstream of Hay-on-Wye) proving most popular. Tributaries Irfon, Lugg, Arrow and Monnow all hold healthy populations of trout. The vast array of waters throughout the Wye and Usk system offer a lifetime’s worth of opportunities for the fly-fisherman. Season: 1st April to 15th October. One-to-one service for up to 8 hours (depending on conditions). If necessary, all tackle can be supplied, including chest waders (subject to size availability). Fishing permits and Environment Agency Rod Licence are not included.